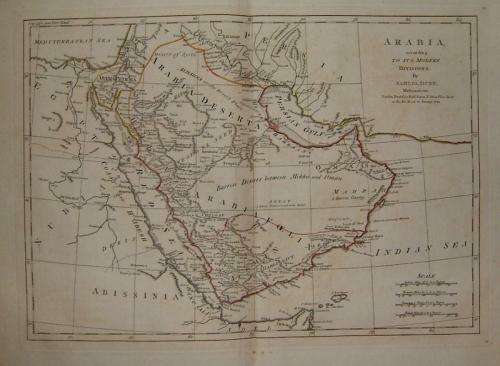 Title: "Arabia According to its Modern Divisions" engraved by Samuel Dunn. The map is from "A New Atlas of the Mundane System; or of Geography and Cosmography", published by Robert Sayer & John Bennett. Printed on one side only on good quality paper and in good condition except for a small split in the centrefold which only affects the margin.